It’s that time of the year again. As a runner we reflect on what we have achieved during 2017 and start to plan next year’s events. I’ve known about it but never in a million years did I think that I would be able to go. The race is The Lost Island Ultra 🌴 in Fiji. (http://www.lostislandultra.com) A 220km 5-day semi-supported race. I have ran over 16 ultras and never have I let people into my life to see how I train. Over the next few months I will share everything from my training programme, what I eat and how I stay motivated. Every Wendsday 5pm I will blog about my journey to the Lost Island Ultra. Endurance Athlete: Do you know how carbs influence your performance? 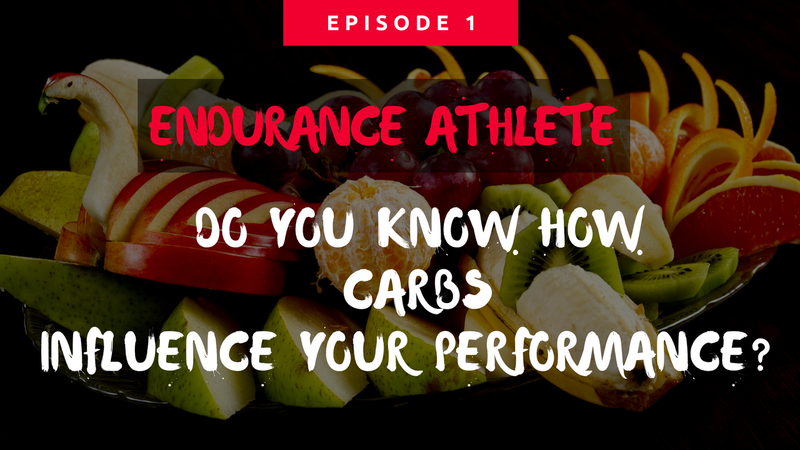 Over the next few weeks I will post a series of videos helping endurance athletes like runners, cyclists and triathletes understand how to improve your performance by understanding what your eat. Click on the link to watch the video. Stay up to date and receive my videos in your inbox by subscribing to my YouTube channel. Losing weight should not be about eating food which you can nearly pronounce yet alone what know what it does for you. Lose weight without dieting will help you understand how you can adjust your diet to lose weight without having to follow a strict diet. Join me on the 4th of February 2017, 10am -12 noon at the Bracknell Leisure Centre and discover the NEW YOU! Ah, the marathon. It’s the 26-mile-long pinnacle of your achievement as a runner. Once you get serious about pounding the pavement, you won’t want to stop until you’ve got a few completed marathons under your belt… and then a few more. But if you’re anything like me, you’ve got more than a few daily obligations to juggle. Between writing and editing WIMI Fitness’s blog, managing my career, and keeping up with athletics news, I barely have time to fit in my daily run. Some days, it just doesn’t happen. Even diehards like me need to skip a day now and then. That doesn’t mean that I can’t run a marathon, though, and no matter how busy you are, you can run one too. You ARE going to run this marathon. It’s written in stone. Plan on it, because it’s going to happen. Place it high in your mind as a landmark toward which you run whenever you train. When other people bug you with their priorities, remember that this landmark exists. Make time for it, because it’s not going anywhere. When you begin to act as though the marathon is inevitable, everyone around you will, too. Certainly, it can’t dominate your life. Balance in all things is important and healthy. But your marathon can be significant. If an extra shift comes up at work, it’s OK to refrain from volunteering. You’ve done your duty and now you have to run. If your partner can pick your kids up from school, let them. Your kids are wonderful, but they’ll see you at dinner, and that marathon isn’t going anywhere. You’ve got to prepare before it arrives. Think of how proud and impressed your family, friends and coworkers will be when you cross that finish line. Not for nothing, a family or group of friends who runs together often has a lot of fun together. One way to get ahead on that we-time while you keep up your training is to suggest running with friends instead of coffee. If they’re serious runners too, all the better. Accountability partners, as Amanda Brooks of Run to the Finish points out, can do a lot to help you stay on track. Heba Hosny at the great blog Run Addicts points out that good health doesn’t just mean going to the gym. In fact, it’s just as important to get enough sleep and eat your green vegetables as it is to exercise. You can also fit little exercise cheats into your daily routine. Running up the stairs instead of taking the elevator can give you a big cumulative health boost if you do it every day for a year. Even if you do fit in enough running time, remember that every candy bar or bowl of ice cream will set you back by days. It’s not just that these are fatty, high-calorie foods. Sugar is your enemy when it comes to training: it gives you nothing but a moment of gratification, and in return you get a sugar crash and a metabolism working too hard to get rid of the junk you just fed it. Look at when you’re running, too. Getting up early in the morning might be a pain, but it’s one of the only places in your schedule where you have real flexibility. Try running before everyone else wakes up. As an added bonus, you’ll be extra-alert for the rest of your day. OK, so you’re doing both middle distance runs and speed runs. Good job! That’s how you should be training. But there are better ways to do that. As Amanda Loudin writes at Runners Connect, why not make your middle distance day your speed day, too? She’s got plenty of other good advice, too, especially if you’re going at your training in a disciplined way. For instance, she suggests combining two days of training into one, which I wholeheartedly support, and adding your runs to your week before all else. That’s a crucial factor to your success: running matters to you, therefore it is a priority. If you want to complete your marathon, your running needs to have top billing. How long do you really think you’ll have the energy to keep up your pace if your level of fitness falls off? Sure, right now you can zoom around picking up kids with one hand as you write your blog and run the boardroom with the other, but the mere fact that you can do that is a testament to your physical endurance. It’s a monument the fact that you’ve taken the time to take care of yourself first. But in the end, that’s the real reason we run, isn’t it? It makes us feel good. It makes the rest of our lives healthier, happier, longer and stronger. No matter what other obligations reside on your shoulders, your marathon is a priority for YOU. And YOU are important, too. Your family and coworkers see the benefits of a fit and happy you all the time. Make space for your own running zen and train your heart out. This is something that you earn every day. You won’t just run this marathon: you’ll rule this marathon. Just keep putting one foot in front of the other and you’ll cross that finish line in great time, regardless of how busy the rest of your schedule is. You’ll find the time to train and, like thousands of other marathoners around the world, you’ll master the demands of daily life the same way you’ve mastered your physical health. Whether you’re juggling kids, work and training, or you’re in school, or you’re just flush with responsibility, you deserve a good race. You’re worth putting the time in on yourself. If I can do it, so can you. In 2011 I accidently found myself in a team of 8 running at the Thunder Run, I struggled with sciatic nerve pain but fell in love with the race. Despite the inability to get out of the car after the weekend I announced that I will do it solo the following year! Oh and by the way I want to be in the top 10. Training was up and down and I spend almost more time trying to stay in one piece than running. It was only after my stress fracture that I realise I wasn’t invincible. The only problem was I only had 8 weeks left before the race. So I rested did my rehab and hope for the best. I wasn’t planning on dying so what’s the worse that can happen? Despite a torn calf muscle I finished 7th with 120km. Fast forward a few fun filled team years and I’m back as a solo runner! Well at least I’ve done a bit more running this time and are more experience although I’m not always sure that that’s an advantage. As a beginner I had no idea what to expect or how much it will hurt unlike now! I feel strong and fit but if I look at my training diary it lookes a bit empty! I’ve not done endless miles but every session had a goal: time, distance, hills or speed. My training time was very limited and if I missed a session I couldn’t catch it up. My stomach is turning and my brain seemed to have stopped working on a day to day basis. It’s only planning the race. Nutrition, clothing, race plan A and B. It’s my 40th birthday present to myself running 24 hours. I want to run 16 laps, 100 miles. Running is a mind game. The better I can control my mind the easier the run will be. I have a stack of mental strategies up my sleeve. I’m using all my anatomical and physiological background to experiment with new ideas. More of which will be in my race review. For now it’s visualisation, preparation and rest! I ignored the voices and stayed calm but focussed! I badly needed a good run. I knew I was well prepared and that my knee was almost fully recovered from a fall on a training run. I often teach my runners that you should reach your race fitness six weeks before a race. Then all you need to do is maintain it and stay injury free. But running is not just about getting miles under the belt. On long races your mental strategy and nutrition are very important. Throughout the winter I’ve was very strict and trained myself to eat and drink every twenty to thirty minutes. I knew that if I wanted to reach eight or nine laps I’ll had to get the mental and nutritional side 100% correct. It was a frosty start but the sun was out and the scenery amazing. Golden sunbeams lit the sea of bluebells in the forest sections. Frost melting and runners warming up. It was the perfect day for running! The sun was out but the cool breeze kept us cool. I love the idea of running laps for 12-hours. On every lap you meet new people you can chat to. Everyone from the race leader to the person who has only started running a few months ago and is now running in a team. It’s amazing to see a new runner feels proud if you say to them that “I hope you don’t mind if I use you as my pacer”. Never in their wildest dreams have they seen themselves as pacer. Using them to help me I always try to repay the favour sometimes just talking and encouraging them helps, other times I give out training, recovery and nutritional advice. It’s a trade off. Part of my race strategy is to talk and have fun. I think if you forget to have fun you’ve already lost the race. 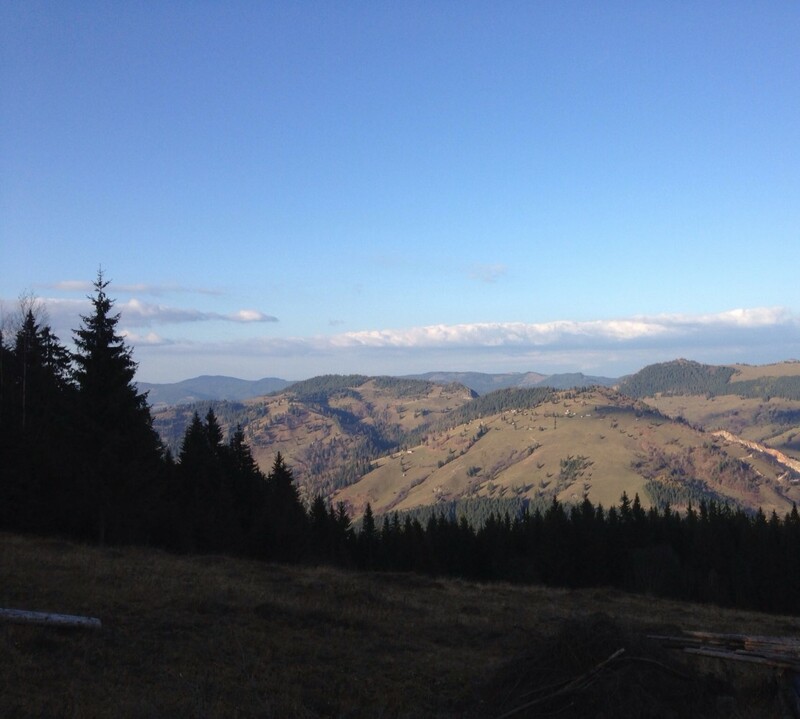 This is where the Continental race directing team does an amazing job with their inter race competitions. Every year there’s a time trial set up somewhere along the course, normally where there’s an up hill but for the solo runners just moving at this point is a bonus. So this year they came up with a new challenge. Count how many hidden Continental tyres there are on course. One, two, three, four…. Hang on was that four or five? Come on brain think. Am I counting the tyres or am I counting my lap or am I only counting for the sake of counting? So clearly I can’t count and run at the same time I need a new plan. Let’s get another runner to help me count. But it soon turned out that non of us can count or even remember where we saw the tyres but at lease we’ve done a few more laps. Lap after lap I was on target with my race plan. To keep my daughter involved I gave her a list of my predicted lap times and told her to write down the clock time after every lap. On lap five I struggled a bit and came in one minute over my predicted time only to be welcomed by the words: “you’re one minute late”. Luckily my new coach let me off an I was allowed to enjoy my jacket potato before heading out again. I must admit I struggled on lap seven and there was a lot more walking than running. Knowing that I was falling behind on my time I knew I still had enough time to reach my target of eight to nine laps. As I approached the end of the lap my new coach shouted: “you’re walking, run”! Followed by “you’re late”! Children is so funny. She made me smile and started running again. I completed eight laps in 11 hours 12 minutes and was in fifth position. Running an extra lap wouldn’t changed my ranking so I decided to stop. 80km done,I still felt good and my knee wasn’t hurting! Thank you Conti Lightning run for giving me my running mojo back. My goal of reaching 160km in the Continental Thunder Run and hopefully podium position for my fortieth birthday is one step closer. The Conti Lightning Run is a 12- hour race which is normal held on the first May bank holiday. The route is a 10km undulated off road trail in Catton Park. The race starts at 6am and finishes at 6pm. You can enter in teams, pairs or as a solo runner and the team or person with the most laps wins. Although it might sound daunting to some it is a great race for beginners to gain experience and a great race for ultra runners to test their winter training. The camping onsite is free with amazingly hot showers, flushing toilets and a wonderful food tent that caters for every runners needs. This race is a must for everyones bucket list but remember to book early as it fills up very quickly. Hope to see you at the Thunder Run!